Finish Line®’s most potent equine poultice includes the natural ingredients of Arnica Montana, White willow, Turmeric Root Powder, Methyl Salicylate, Lemon Balm Oil, Magnesium Sulfate (Epsom Salts) and Methylsulfonylmethane (MSM). 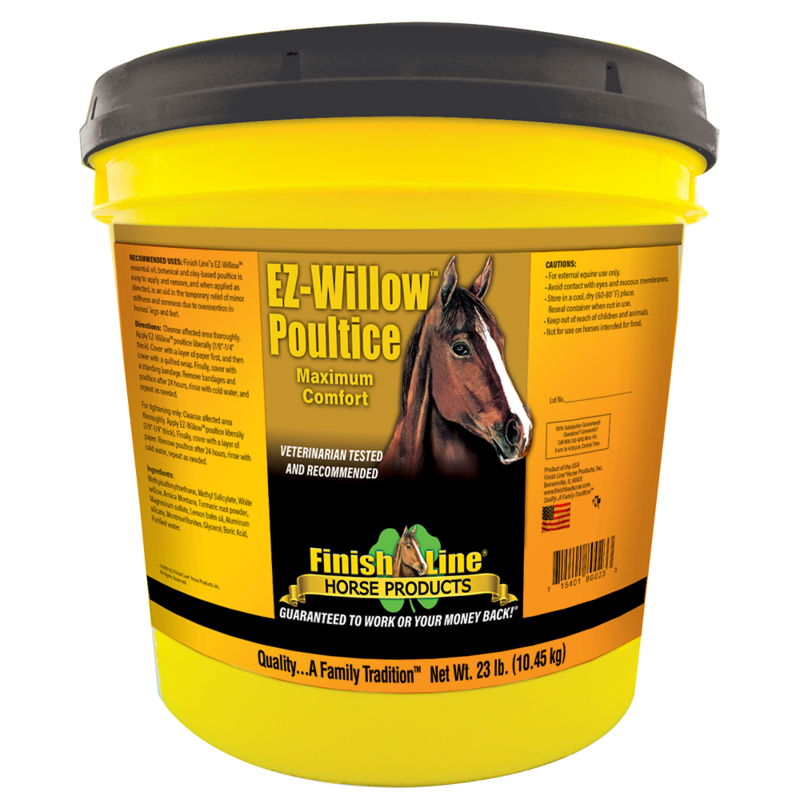 EZ Willow™ Poultice is easy to apply and remove, it is cost effective and is an aid in the temporary relief of minor stiffness and soreness due to over exertion in horse’s legs and feet. 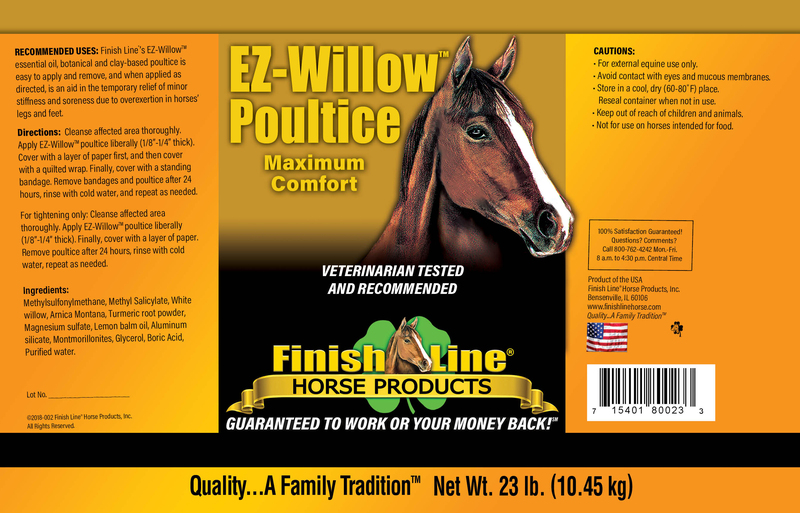 EZ Willow™ Poultice will not scurf or blister when used as directed and is gentle enough for daily use. Can also be used as a hoof packing.